Willie Harold Hargett, 58, of Portland, passed away Wednesday, December 5, 2018. Born to the late James Harold Hargett and Fanny Lou Carnell, September 4, 1960 in Russellville Alabama he was placed in St. Mary’s Orphanage, Nashville, TN at the age of 8. At the age of 10 he was placed with Joe and Dorothy Walsh who with his new siblings provided a loving foster family. He was a truck driver and did farm work as a young man until he found a place with Metro Water of Nashville where he worked for 32 years retiring in October , 2018. 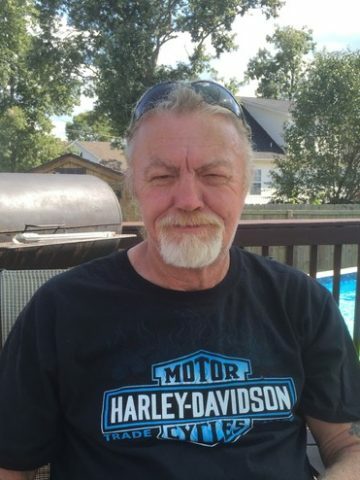 He was a heavy equipment operator at Metro and was known as a hard worker as well as a wonderful, caring man who was often there to help out others. He had a passion for motorcycles as well as trucks and old cars. He built and worked on many trucks over the years and really enjoyed going to car shows whether he was an exhibitor or just there to look at other folks vehicles. Willie is survived by his daughter “baby girl” Faith Renee Hargett (Micah Beck); grandson, Jameson Ford Beck; his life partner, Charlotte Brown; daughter, Charmae (Lawrence) Candilas; son, Zane Brown; brother-in-law Joe (Nina) Hodges; dear friends, Frank (Lisa) Madden, Jon (Melissa) Towe, Trace Emerson and Dave Borovic; his siblings, James Lynn (Amanda) Hargett, Betty (David) Yates, Diane, William Hargett; his foster siblings, Ellen (Dan) Forester, Suzanne (Eddy) Adams, Margie (Terri) Crow, Tim Walsh, Nancy (Michael) French; as well as extended family and numerous other friends. Visitation for Willie will be held Tuesday, December 11, 2018 from 4 to 7 PM at Cole & Garrett Funeral Home, White House, TN with a Celebration of Life Service at 7 PM Tuesday evening. Mrs. Robbie Hargett, so sorry. For the loss of your husband. My thoughts and prayers are with you and Faith at this time! Jamie and Ned Smith we love Willy very much .He was like a very close friend of ours .You could believe his word and never look back,because he would do as he would say.I am so sorry ,but I didn’t find out about him passing away untill today which is March 1, 2019.He will be missed very very much,he is in my heart. I’ll always remember him.